One of the biggest challenges facing the world at large is how to tackle the shortage of professionals in the healthcare industry. With healthcare being an important sector in every country, any issue that affects the sector is guaranteed to lead to serious outcomes. The World Health Organization (WHO) paints a very gloomy picture for the healthcare sector, with their latest in a series of thoroughly research findings predicting a shortfall in the number of healthcare workers to the tune of about 12.9 million by the year 2035. Fixing this troubling trend is only possible if the causative factors of this problem can be aptly corrected, and these include the factors responsible for the increase in the demand for healthcare itself as well as those that are negatively affecting the growth of the healthcare industry. A general misconception about the healthcare industry is the idea that only medical personnel represent the entirety of healthcare professionals. This, however, isn’t the case with lots of other workers playing key roles in the well-being of patients. From physical therapists to psychologists, nutritionists to even fitness coaches, many of these subsidiary healthcare professions play vital roles in improving the health of patients; but with the numbers of such professionals also quite low in relation to the burgeoning world population, there is a serious deficiency in the delivery of healthcare services to those who need them the most. Tackling the problem of shortage of healthcare experts is indeed essential if the world is to avert the impending chaos that is certain to engulf the healthcare industry. While training more professionals sounds like the logical solution to this crisis, it may not be as practical as it sounds, since it will require that countries consistently spend billions of dollars to implement such a robust scheme and of course, maintain it. It also doesn’t consider that there are just too many fields in the healthcare sector that no amount of budgeting and planning can simply make up for. Simply put, while this option may be able to plug the gap in some high-profile healthcare strata, it won’t completely eradicate the issues facing the industry. The most practical solution to the shortage of professionals in the healthcare industry involves two widely used trade practices that have become quite common in the corporate world, freelancing and outsourcing. Though outsourcing has become a norm in all areas of the corporate field, it is still trying to find its place in the healthcare industry, with only the pharmaceutical field so far integrating this practice into its operations. 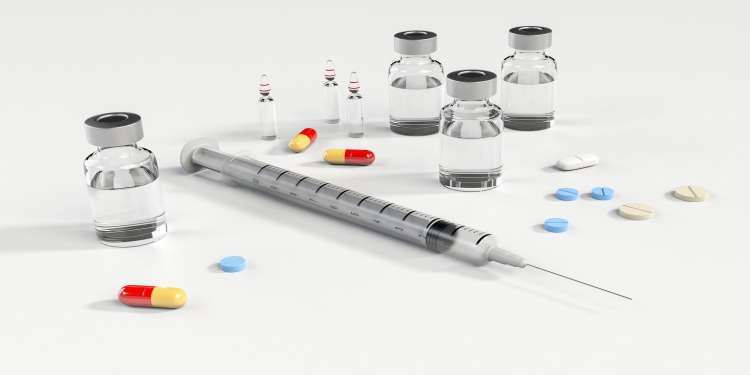 With the cost of manufacturing drugs and health supplement being quite high, many pharmaceutical companies have turned to outsource the production of their generic brands to facilities located in much cheaper places especially in South East Asia. With most healthcare facilities across globe usually running on specified budgets, it is quite difficult to simply increase the number of hired healthcare personnel when the demand for their services becomes overbearing. The cost of incorporating such a tremendous upgrade in personnel is simply too much for most healthcare entities, and the only logical solution is to borrow a leaf from the corporate sector and take the outsourcing route. Outsourcing in the healthcare industry isn’t a new phenomenon with many professionals already offering their services to multiple facilities even though they are still contractually committed to one. It has, however, become popular in recent years with lots of healthcare services being referred by hospitals to experts working in other facilities most commonly located in another region or country. Asian countries like India, Philippines, and Malaysia, have become outsourcing destinations for lots of healthcare cases ranging from serious procedures to simple non-invasive tests. With these regions usually being able to provide many healthcare professionals, who are competent, it is certainly the best option for healthcare facilities that have become overwhelmed with numerous cases. Though the outsourcing of jobs in the healthcare industry comes with a particular challenge that isn’t replicated in a conventional corporate environment, it does have a lot of benefits if it can be competently carried out. As noted earlier in this article, simply hiring new personnel isn’t a practical solution to the shortage of professionals in the healthcare industry, as most healthcare facilities can’t afford the cost. With the cost of educating most healthcare personnel now on a rapid increase, it is bound to not be considered in the nearest future. Outsourcing, on the other hand, provides a practical resolution to the problem of personnel shortage since it is both executable and affordable. With healthcare costs in most of the rapidly developing countries still quite low, when compared with the countries in the west, it is possible for a healthcare facility located there to effectively handle multiple cases and still deliver the very best of services. Outsourcing also ensures that patients still receive treatment and their health isn’t jeopardized even if they simply cannot afford the therapeutic solution being offered. With the number of personnel way smaller than the number of patients seeking healthcare services, the consultation and treatment of patients are sometimes executed at a much slower pace. This can lead to a long queue of patients who need to be assessed by the available healthcare personnel. Outsourcing some healthcare procedures, however, means that patients whose cases can be quickly handled via collaboration between two facilities can be quickly attended to and their conditions immediately addressed to. The growth in world population leaves the healthcare industry on the brink with an overwhelming number of patients to attend to; outsourcing, however, gives the industry a chance to adjust to the unpleasant development and save as many lives as possible. The healthcare industry is seriously understaffed despite the increase in demand for healthcare services. There is hope in the form of the globally accepted corporate practice, outsourcing. Find out how this perfect corporate tool functions in the healthcare niche.